The architects and interior designers of Graduate Hotels understand that attention to detail is everything. Their commitment to a design vision is a major component of each hotel’s identity, setting them apart from their competitors. 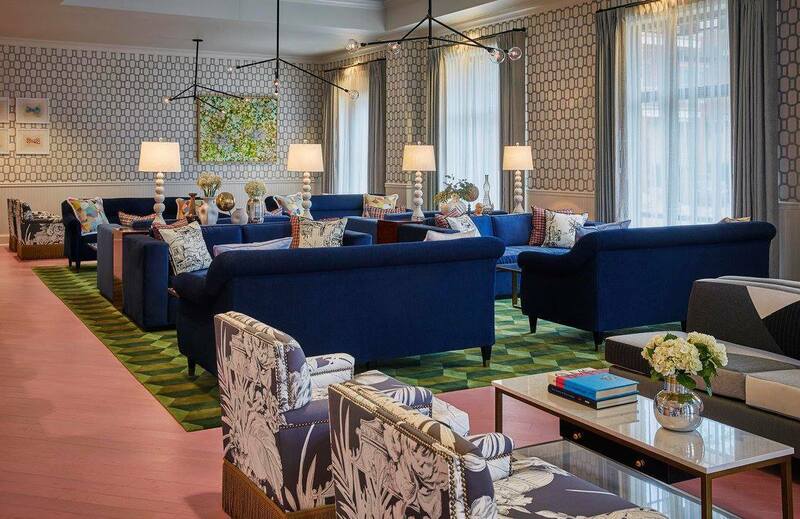 Each luxury boutique hotel has a reputation for providing amazing guest experiences and showcasing impeccable interior design that is tailored to match the culture of each college town where a Graduate property is located. 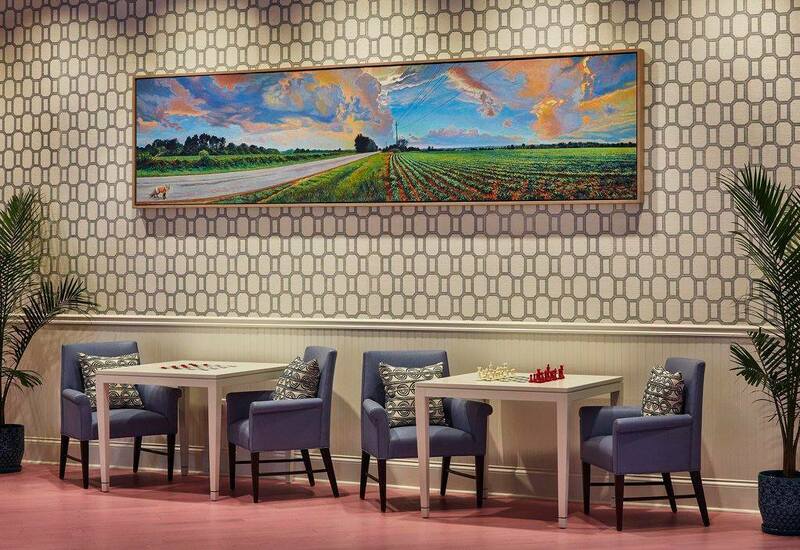 The Graduate Hotel in Oxford, Mississippi has been carefully designed to pay tribute to the University of Mississippi (you may know it as “Ole Miss”) and the town of Oxford. Achieving that “southern charm meets modern college prep” look isn’t an easy combination to pull off. Add in the fact that all design selections must maintain their style while enduring heavy and constant traffic and you have a great design challenge. But with careful planning and the right selection of materials, the design team was able to seamlessly accomplish this challenging interior design job. First impressions are everything, which is why the lobby area of any hotel serves as the grand introduction to the style and ambiance of an establishment. The team wanted to create the perfect setting for guests to relive their glory days or create new fun experiences visiting their children at Ole Miss. With this goal in mind, they carefully planned every detail of the lobby design and its décor. Knowing they wanted to create a floor-to-ceiling experience, the team understood the importance of stylish flooring. But the flooring needed to do more than just be suitable for high traffic—it also needed to complement the hotel’s unique style and most importantly, that look needed to last. As a high traffic area, the lobby posed many flooring challenges. The team had to consider maintaining the integrity of their vision while also choosing flooring that would stand up to the high level of foot traffic commercial surfaces endure. Wanting to maintain their style and look, the design team chose Nydree Plainsawn White Oak flooring, a hardwood option that featured real wood combined with acrylic. This combination of materials made the floor 300 percent more dent resistant than standard wood and perfect for the hotel’s needs. Because of its unique engineering, the flooring featured the warmth, beauty and sound of real wood while holding up to the demands of a high traffic interior—the ideal combination for common areas. While there were several color options available, the design team wanted to go for a more unique floor finish that matched the eclectic style of the Graduate Oxford. Because of Nydree’s state-of-the-art color matching technology, the design team was able to develop their own custom creation that added a bright, fun pop of color that helped bring all the design elements to life. 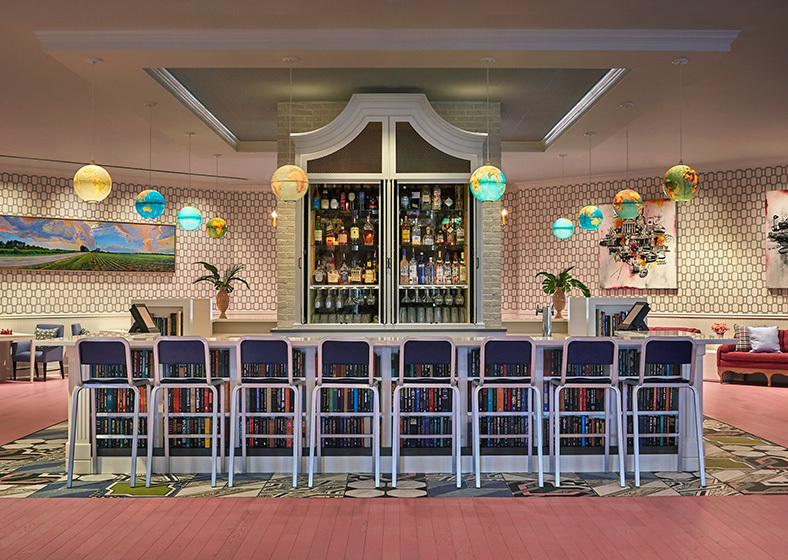 The ability to create custom color flooring gave the lobby area the extra level of detail and solidified the theme of “old south style with a touch of preppy modernity.” Now a signature component of the color scheme, the lobby floor was colorful, welcoming, and full of southern charm. Nothing says, “Come on in, y’all!” quite like the bright, bubblegum pink flooring! 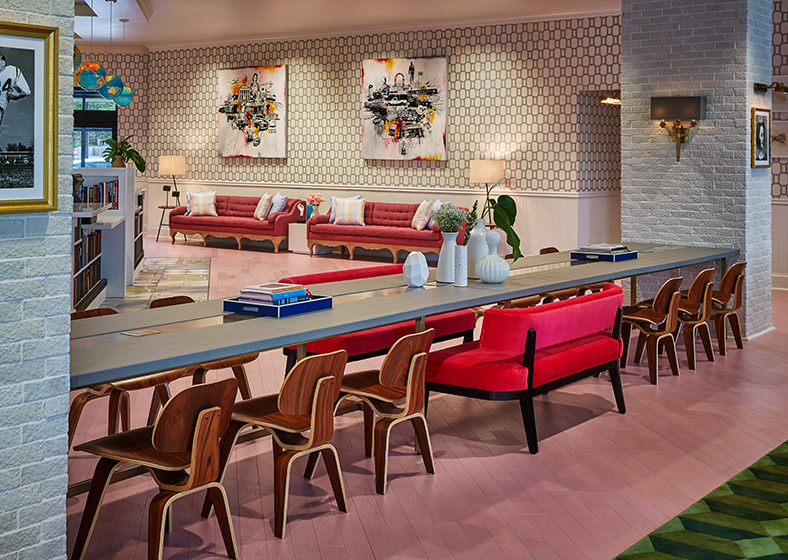 The Graduate Hotel found the perfect hardwood flooring option to complete the design team’s vision and withstand the test of time in a high traffic area. By choosing Nydree’s specially engineered hardwood, the custom lobby flooring will continue to be a centerpiece of the design and will make a lasting impact with its strength and style for years to come. With Nydree’s wide selection of custom finishes and the ability to create your own signature color, the design options are endless. Contact us today and see why award-winning architects, builders and designers choose Nydree to meet the tough demands of their high traffic spaces.